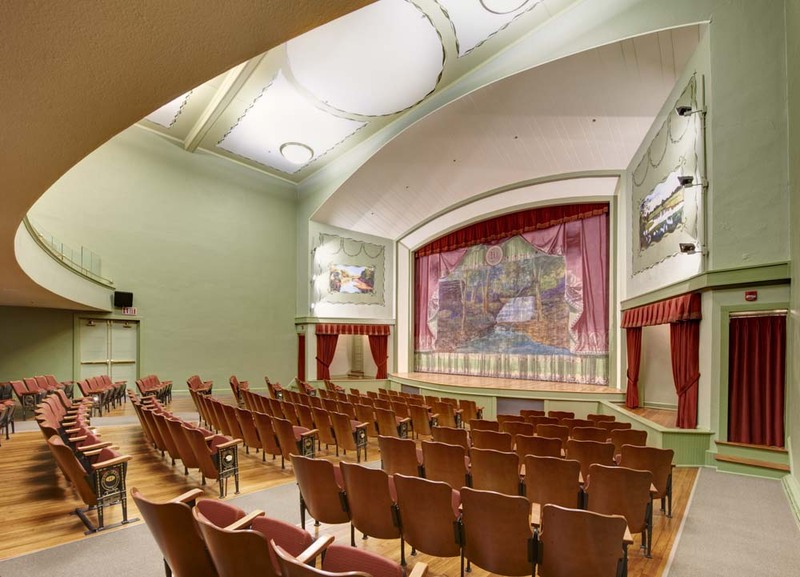 With a growing show schedule during the summer months, the theatre needed a cost effective, energy efficient, and simple HVAC system that would greatly improve the theatre patron’s comfort. 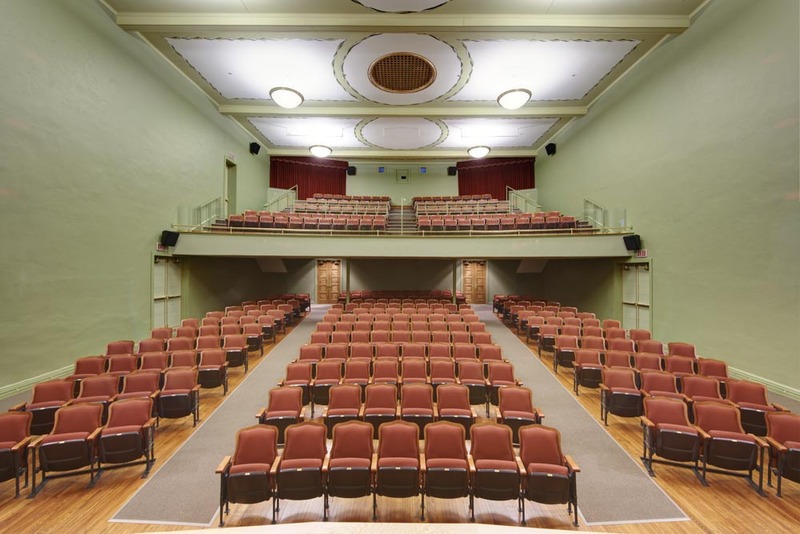 In 2011 the Wieting Theatre hired Shiffler Architects and MODUS to design a remodel of the theatre. The new design ushered in 21st century standards without defacing the historic character of the 1912 building. 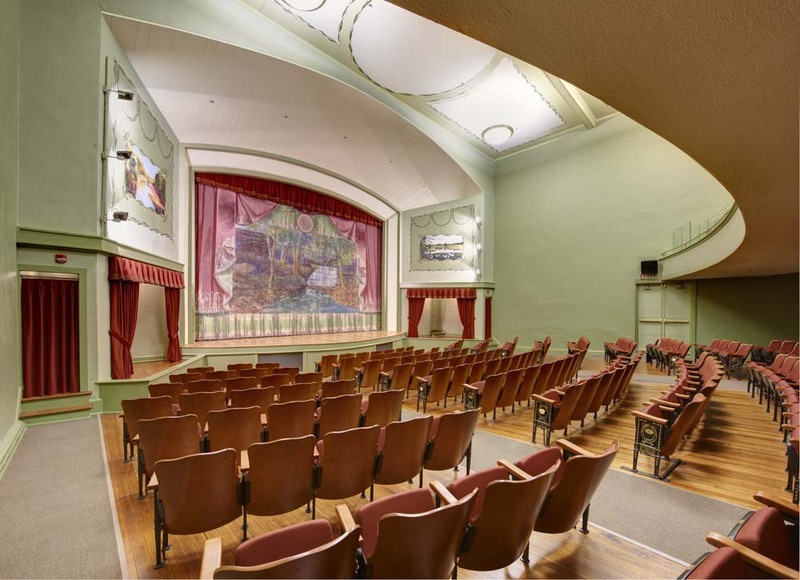 The theatre’s original steam boilers were removed in the 1970s and replaced with heating only furnaces. The building was not staffed full time. Maintenance personnel were in charge of multiple facilities and thus could not dedicate expansive time on maintaining the facility. A simple design was requested, one that could be maintained by local contractors. Varying cooling demands were a concern from the beginning of design. The theatre served anywhere from 20 people for a weekday film to 250 for a high school graduation. The HVAC system would need to accommodate both low and high load conditions. The historic nature of the building needed to be maintained. The majority of the building had not seen any updating since its original construction, and the owners did not want the HVAC system to impede on its appearance. With design parameters clearly defined, the HVAC designers specified high efficient, variable condensing furnaces with multi-stage 17 SEER air conditioning units. In order to avoid routing within theatre space, the ductwork was installed below the seating arena in trenches. Many of the original steam radiator cover plates were still installed and were re-purposed to supply air into the audience area. The front of the original stage contained a perforated panel. Return ducts were routed underneath the stage and connected to the front of the stage. To keep the controls simple and easy to maintain, the furnace manufacturer’s controllers were installed in the back of house area of the stage, while small remote sensors were placed in the seating area. The majority of the lighting and electrical systems had not been updated since a small retrofit in the 1960s. Light fixtures hung from the ceiling structure were difficult to maintain and replacement bulbs were very expensive. MODUS lighting designers worked with several manufacturers to find appropriate fixtures for this historic structure. The new lighting system was designed with flexibility. 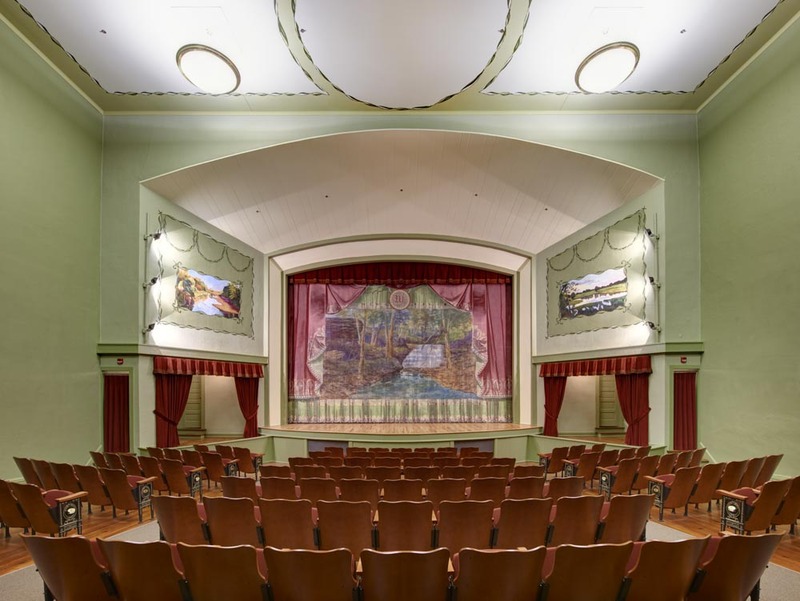 With multiple types of events, the Theatre required a lighting control system that allowed them to provide varying light levels. 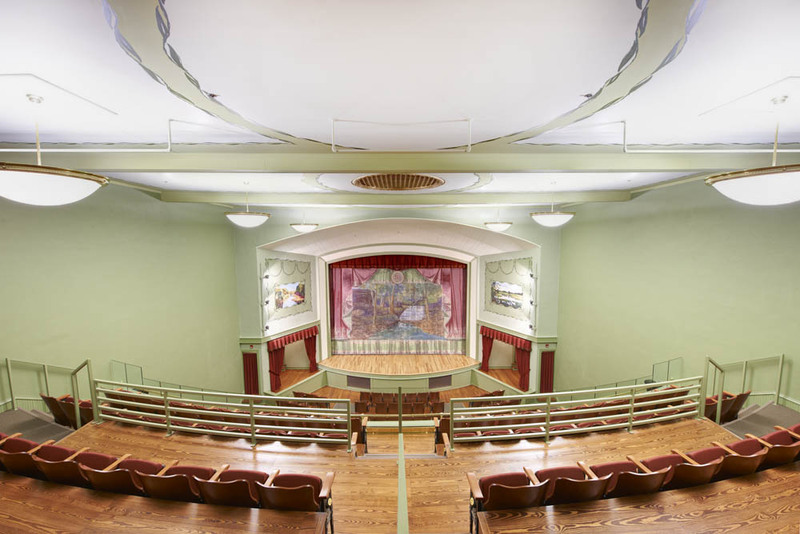 The ceiling mounted pendant lights and the historic wall sconce light fixtures each contained dimming capabilities, allowing theatre staff to adjust the lighting levels for multiple types of events.